Upper kitchen cabinets are most often used for storing dishes, glasses and dinnerware, but they can also be used to store spices, mixing bowls and small appliances, or even as a small pantry. 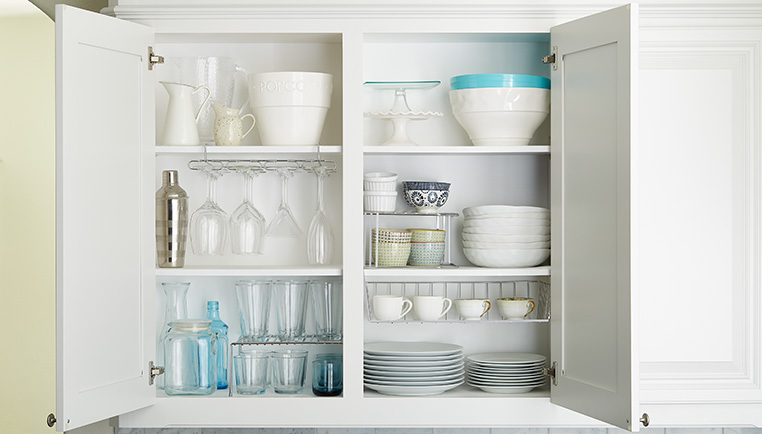 Here's how to make the most of your kitchen cabinet space. 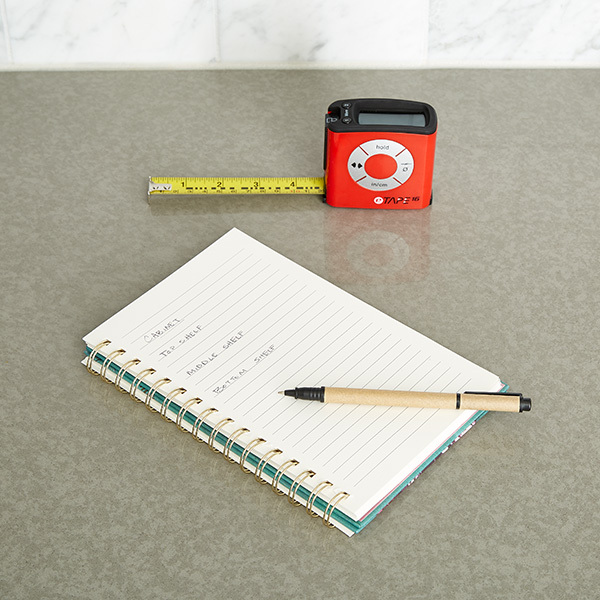 Since you're going to be taking everything out of your cabinets, make sure your counters and kitchen table are clear so you have a place to sort though everything. Once your cabinet is emptied, wipe down the shelves with a good multipurpose cleaner. Clean out your cabinets and decide what should go where. 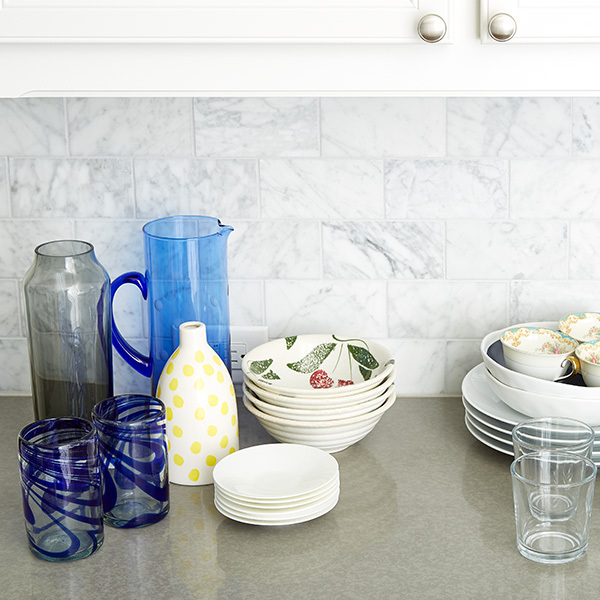 Plates, glasses and other dinnerware are most often stored near the dishwasher. Spices should be stored near a prep area, but not too close to the stove or oven as heat can destroy their flavor. Put bowls, appliances and other cooking tools where they are easy to access. Use a tape measure to measure the width, depth and height of your cabinet space. Don't forget to measure your actual cabinet door opening. Using a shelf liner is a good idea when you are using your cabinet to store dishes or glassware, as it protects against nicks and chips. 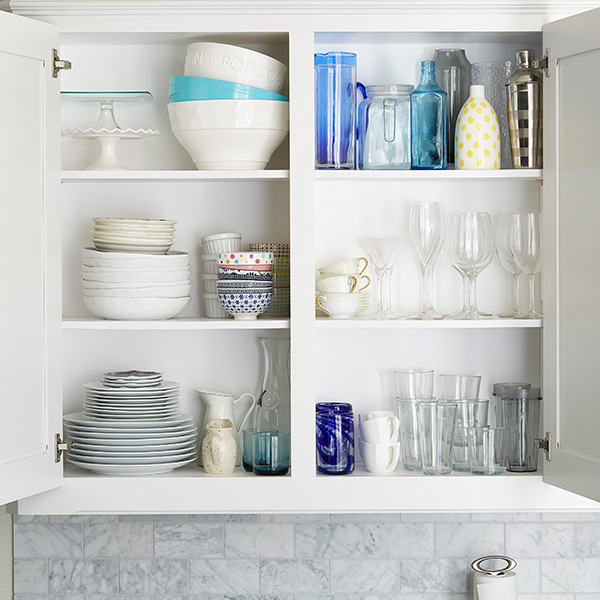 No matter what you're storing in your cabinets, you'll want to make the most of your vertical space. 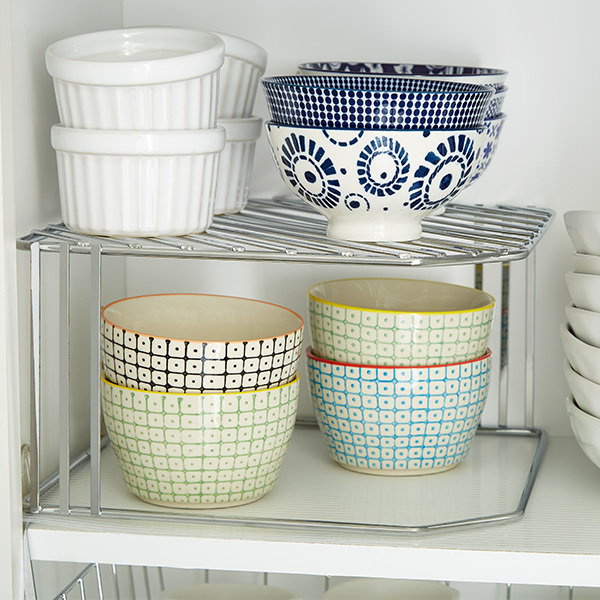 Undershelf baskets can be used to separate plates, hold kitchen linens or small mugs. 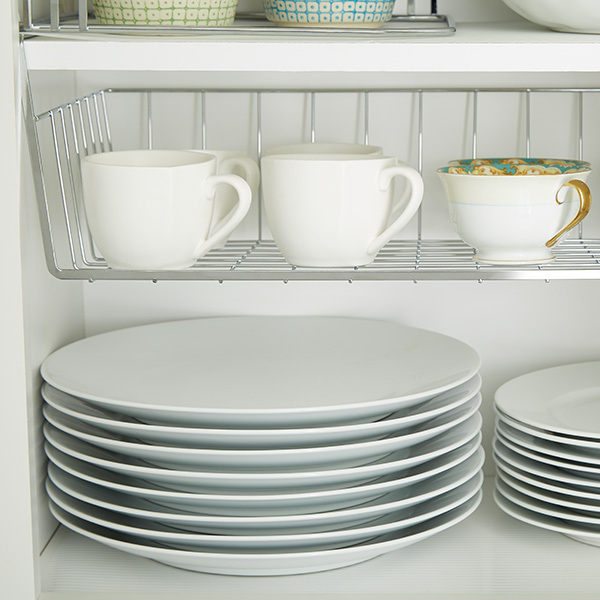 Small hooks can also be used in the top of your cabinet to hold coffee mugs, clearing space in the bottom of the cabinet for other dishes. 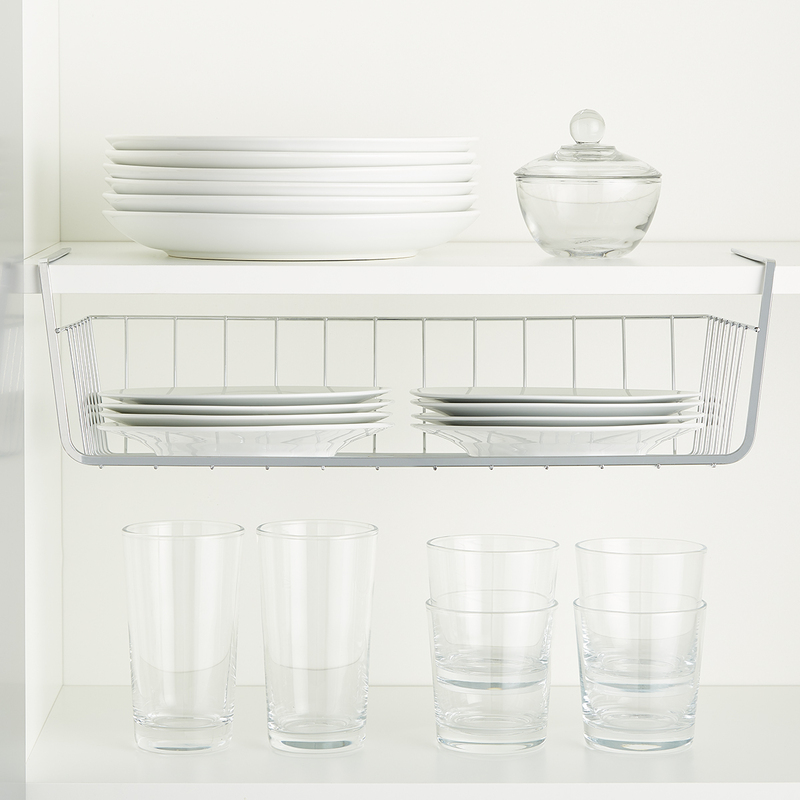 If you're storing dinnerware, stackable shelves make it easy to separate dinner plates from salad plates, and mixing bowls from cereal bowls. 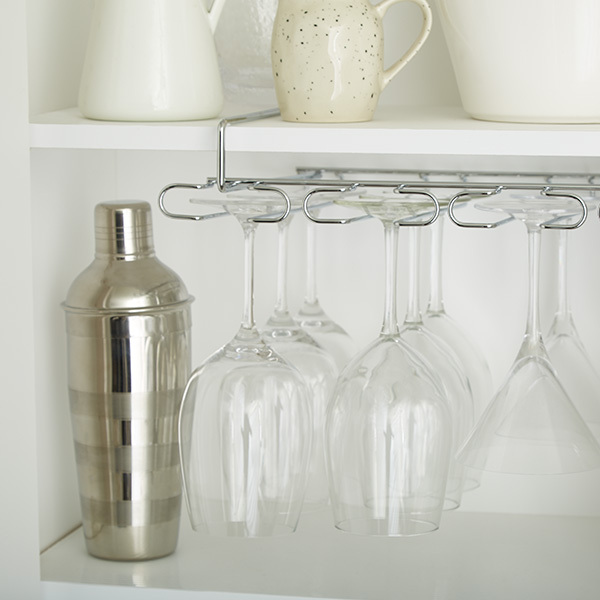 Undershelf wine glass racks keep stemware protected while making use of tall cabinets, and placing stemware racks underneath your cabinets can save significant space while making them easier to reach. If you are using your upper cabinets as a pantry, please see our pantry cabinet project.